Are you serious about taking your practice to the next level? Then InfluenceAdvisor Advisor Accelerator® is for you. Advisor Accelerator is a three part, six month program that can extend into a longer-term engagement. Web: Gets you set up on the web with the proper foundation for an effective, long-term communications program. Social: Transform your web and social outlets for marketing and lead generation. Create and distribute content that will establish you as a leader. Media: Unleash the power of the media to dramatically raise your profile locally, regionally, nationally, or within specific industries or practice areas. 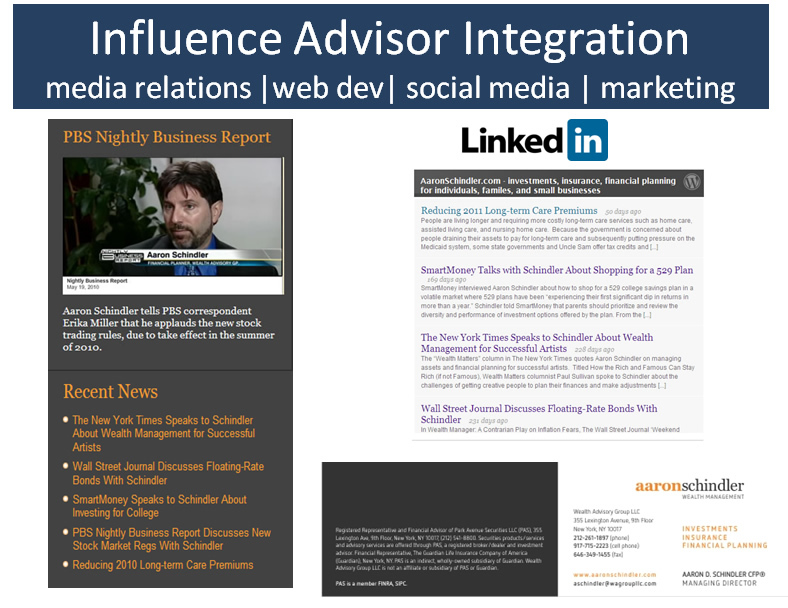 InfluenceAdvisor, a division of Influence Consulting Group, relies on a network of highly accomplished publicists, social media experts, researchers, writers, web developers and designers, to create a communications program tailored for each advisor or advisory firm. Collectively, we have dozens of yours experience developing and managing full-scale public relations programs for advisors, planners, RIAs, and other financial professionals. 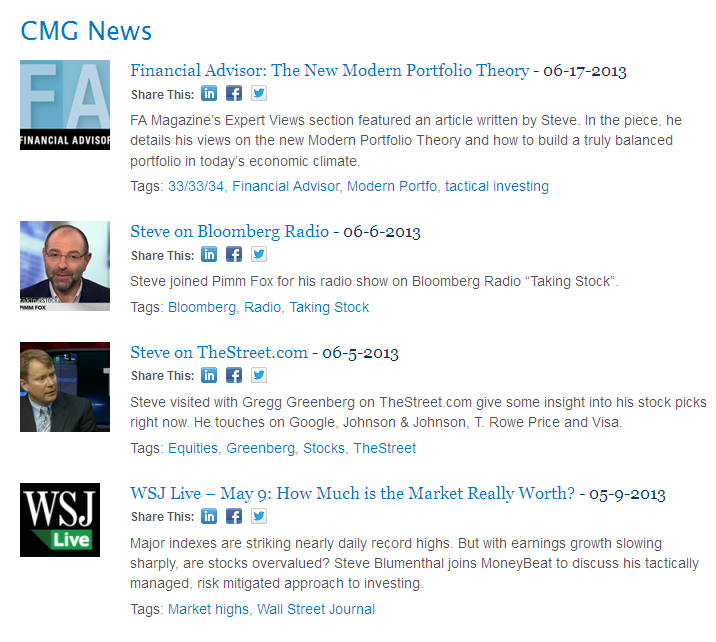 EXAMPLE: InfluenceAdvisor generates publicity for CMG Capital Management Group and assists in creating a social-enabled news page. We also assist with content creation and distribution, online lead generation strategies, and other marketing. EXAMPLE: Wealth Advisory Group LLC | InfluenceAdvisor helped Wealth Advisory Group LLC in New York conceptualizing a new website. We worked with the designer/developer and wrote all copy. Launched April, 2012.